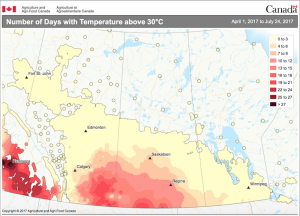 Hot days are a major reason for missing pods this year. Read more. 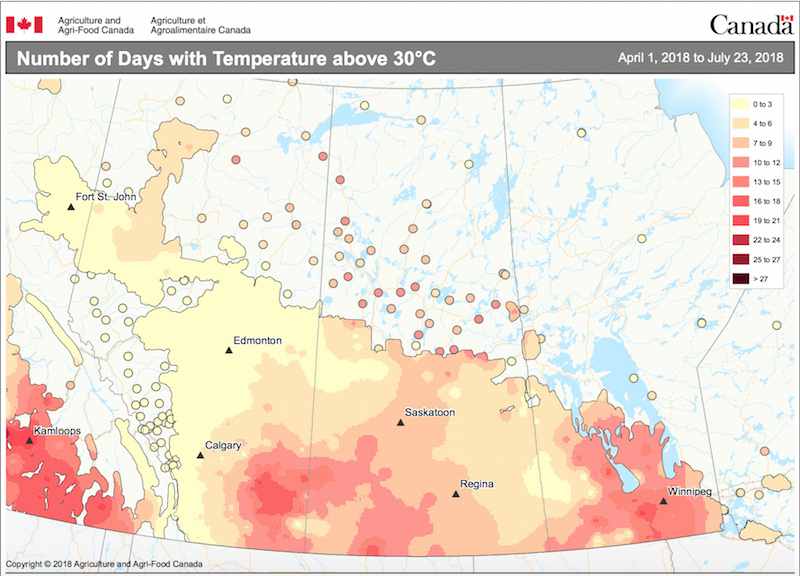 These maps show the number of days above 30°C for the season to date for 2018 and 2017. 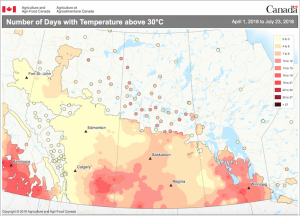 Days over 30°C for the 2018 growing season. 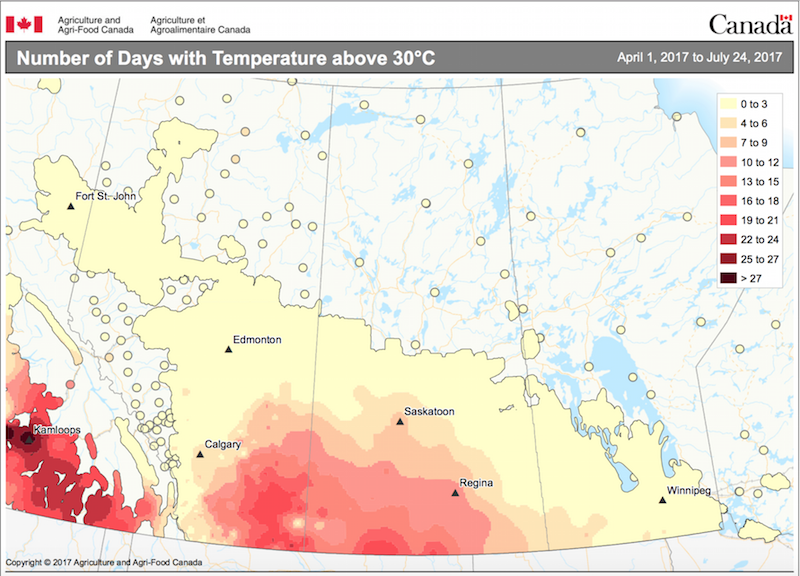 Maps are from AAFC’s Agroclimate Maps website.